With so many options available on the market, for some, choosing the right computer monitor may seem like a daunting task. While the average consumer is often focused on price point alone, the fact that “you get what you pay for” still holds true. The two monitors I’ll be using for an example in this article are the Samsung 2494SW, a common 24″ retail monitor now priced online at $209.99 and the $549.99 HP LP2475w, a popular ‘prosumer’ wide gamut monitor that’s easy on the wallet, relatively speaking. So what is it exactly that differentiates a $200 and $500 monitor of the same size? That’s where some important factors come into play. The first nine have very much to do with the panel technology used in the display, which I’ll discuss. If consumers are buying panels based on their needs, then the truth is that most people are out to get the biggest display for price. For most consumers, size does matter and big monitors are no exception. Many people can’t tell the difference in picture quality if the monitors aren’t side by side. That being said, if picture quality doesn’t matter as much as size, which is what the market is geared to deliver based on demand, then you can expect to pay the prices below. Monitors at these prices will suffice for most people and will meet their expectations for quality and features. And if you’re buying retail as opposed to online, expect to pay a more. These often go hand in hand and there are a number of common resolutions for the various monitor sizes offered. 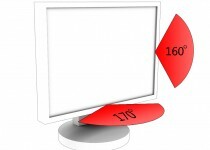 All LCD panels are measured diagonally from corner to corner, which consists of the entire viewing space. This is different from CRTs which are measured by the size of their tube, which is partially obscured by the bezel. That’s why a 32″ CRT television display only measures about 30″ diagonally … but you probably don’t have to worry about that anymore. While physical size plays a bigger factor in televisions, resolution is more critical when it comes to monitors due to the very close viewing distance. Resolution, with regards to LCD monitors refers to the fixed number of pixels in the horizontal and vertical dimensions. For example, a resolution of 1280×1024 means there are 1280 pixels in width and 1024 pixels in height for a total of 1,310,720 pixels. A pixel is the smallest physical unit that displays color that make up the resolution of a display. This differs from image pixel size, which isn’t related to the panel’s physical pixel count or size. Given our two monitor examples, while both of these are 24″ displays, they have different resolutions. The Samsung 2494SW has a resolution of 1920×1080 and the HP LP2475w is 1920×1200. That respectively equates to 2,073,600 and 2,304,000 pixels, with the HP LP2475w having 10% more. 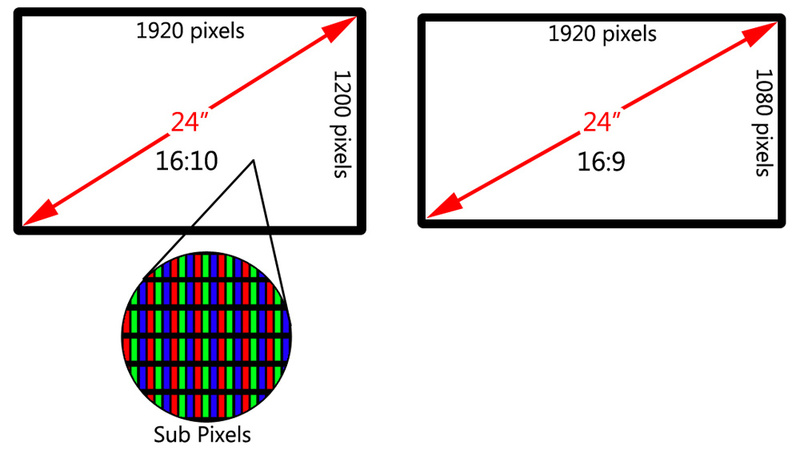 This is where pixel density comes into play, which is the number of pixels per square area; in other words, the physical size of the pixels. A higher pixel density equates to a sharper picture. The change in resolution also changes the aspect ratio of a monitor. Previously, widescreen monitors differed from widescreen televisions in that the aspect ratio of a widescreen monitor was commonly 16:10, while widescreen televisions are 16:9. This changed with the advent of 16:9 monitors, marketing a 1920×1080 resolution as “True HD”, the same resolution as 1080p televisions. Since both of these monitors have a width of 1920 pixels, they will both display 1080p video at native resolution, the only difference being that there will be a gap of (1200-1080)=120 pixels or 60 pixels on the top and bottom of the clip. Don’t let marketing confuse you on “Full HD” monitors, the only advantage a resolution of 1920×1080 has over 1920×1200 is the lower cost usually associated with 1920×1080 panels. 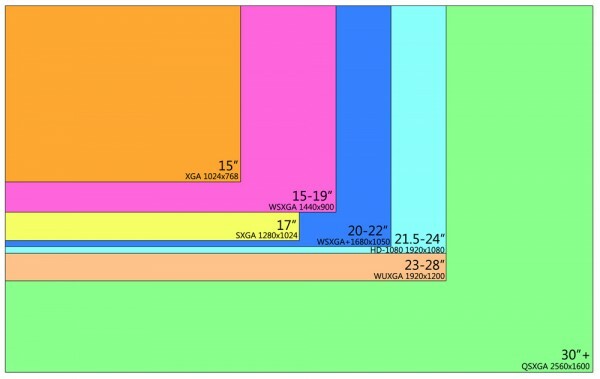 A 16:9 panel of the same [diagonal] size will have slightly wider horizontal and shorter vertical physical dimensions than its 16:10 cousin, at the cost of a lower pixel density. Back to the topic of resolution. A higher screen resolution is desirable due to the increase in screen real estate, giving the user more workspace–more windows, icons, etc. Certain resolutions are common to particular sizes of monitors. Note that there’s some overlap in screen sizes. The screen size doesn’t necessarily determine the resolution and vice versa. As an example of this, 21.5″ monitors are typically 1920×1080, giving them the same screen real estate as 1920×1080 24″ monitors and a higher pixel density. This brings up the question of what is a high enough pixel density, to which I’d answer that panels are built such that they have an acceptable resolution for their size. The only recent complaints I’ve heard are about the 1024×600 resolution of 10.1″ netbooks, to which some companies have responded by offering models with 10.1″ 1366×768 panels, over a 40% increase in pixel count. These are the horizontal and vertical fields of view where the display’s image appears acceptable. 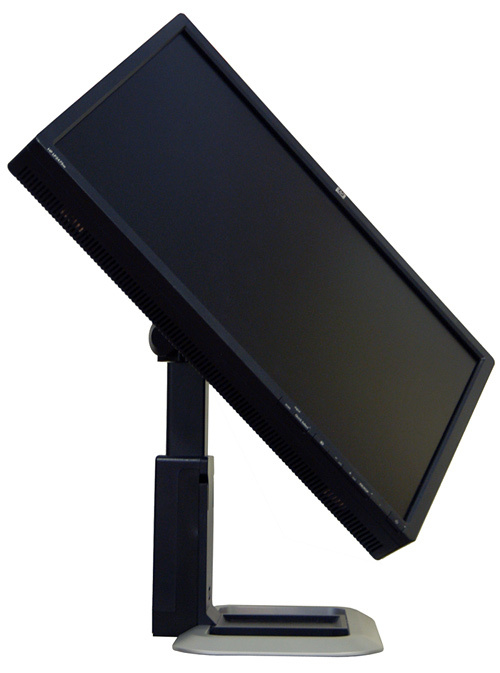 Typically viewing angles are poor with twisted nematic (TN) panels, which make up the majority of monitor panels. 160/170 degree horizontal and 160 degree vertical viewing angles are typical with TN panels, whereas 178 degrees horizontal and vertical can be found in nearly all in-plane switching (IPS), multi-domain vertical alignment (MVA) and patterned vertical alignment (PVA) panels. TN panels are bottom barrel and mediocre viewing angles are just one of their weaknesses. TN technology’s greatest success is that it’s cheap, and since the market is driven by the demand for dime-a-dozen monitors with little regard to quality, TN displays are plentiful. Contrast ratio refers to the ratio of the lightest color (white) to the darkest color (black) that the monitor is capable of displaying. Traditionally panels were rated based on their static contrast (the ratio above), but the recent implementation of dynamic contrast has created some confusion for the consumer. Dynamic contrast (DC) used in LCD displays is a method to artificially increase the contrast by lowering the backlight when a dark image is displayed on the screen. We end up with an LCD panel that’s marketed as having a 50,000:1 dynamic contrast ratio, but has a much lower static contrast, around 500-1000:1. This is exactly the case for our two example monitors. The Samsung 2494SW is listed as having a 50,000:1 DC while the HP LP2475w has a contrast of 1000:1, yet their static contrasts are both 1000:1. While dynamic contrast works well when the panel displays darker images, the highlights and bright areas of the darker images may appear blown out or overexposed. All in all, an LCD with a 50,000:1 dynamic contrast and 1000:1 static contrast has an inferior contrast ratio to a plasma panel with a 3000:1 static contrast. The higher the static contrast, the better. While 500-1000:1 is common for LCD panels, organic LED (OLED) displays are able to naturally achieve much higher contrast ratios along the lines of 3000:1 static and 1,000,000:1 DC. Currently, OLED displays are only available in a few very expensive TV models, but monitors should be commercially available in the not-so-far future. It’s definitely a tech to keep your eye on and there should be some interesting OLED advances shown at CES next month. All modern monitors have more than enough brightness for all indoor lighting conditions, which is why this shouldn’t be a deciding factor. LCD panels are typically backlit with fluorescent tubes called cold cathode fluorescent lamps (CCFL). Over the past few years, manufacturers have introduced panels backlit with LEDs, which results in a better picture for a number of reasons. Brightness is measured in candelas per square meter (cd/m2). Older LCD monitors can usually be found with a brightness of around 250 cd/m2, whereas newer ones are anywhere from 300-500 cd/m2. 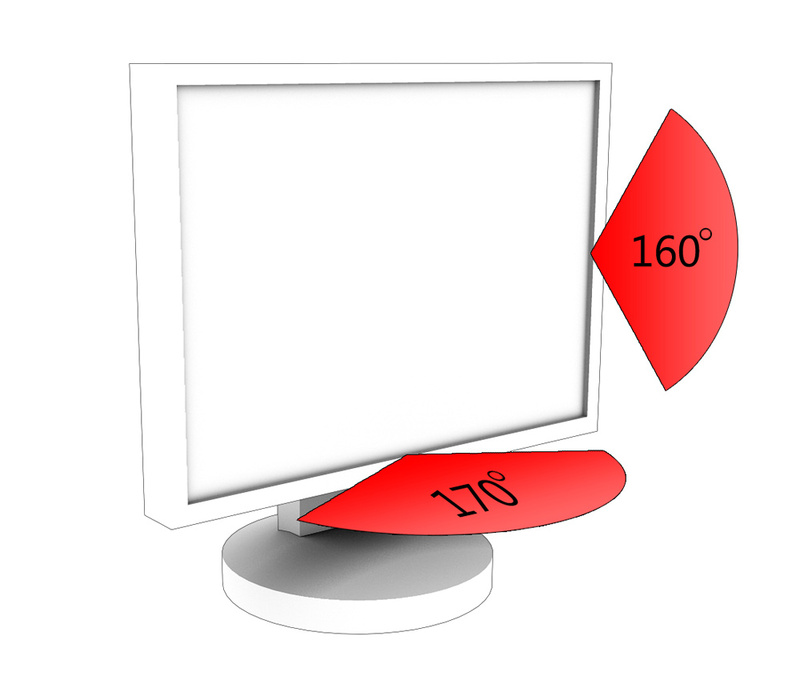 For indoor use, a properly calibrated monitor will be set around 80-120 cd/m2, low levels that cheaper monitors won’t adjust down to without a loss in picture quality. Only laptops really require higher levels of brightness for outdoor use. In fact, most of you probably have your monitor brightness set much higher than it should be. Think of brightness as the “black level”. The ideal brightness setting will display the darkest black while still being able to differentiate between as many shades of grey as possible between pure black and pure white. You’ll need to calibrate using a colorimeter for the best results, but you may have some luck with a grey scale test chart. This is the same for the contrast setting–it’s likely set too high, turning many shades of a color into fewer shades by crushing similar colors together. There’s a growing consumer trend that high brightness and saturation equate to a better image, driving the production of extremely bright backlighting and stuff like glossy screens. (eww!) In actuality, these end up oversaturating and overexposing the image. While monitor standards are vital for people doing color corrective work, such as photographers, having a properly adjusted monitor will display a wider range of colors and thus a better image. 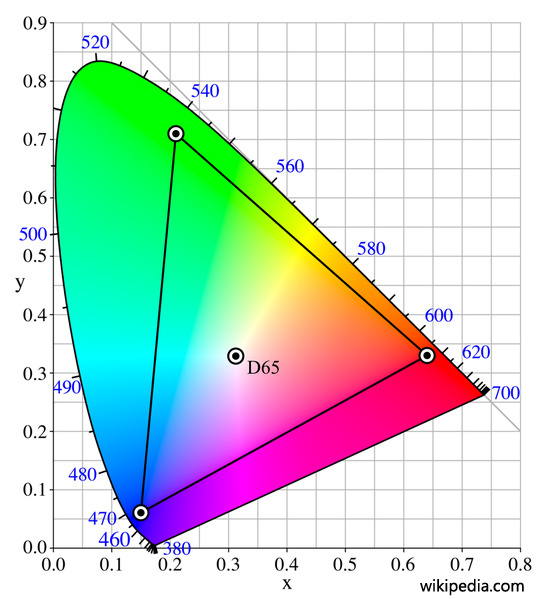 A monitor’s color gamut is the range of colors that it can display accurately and is largely dependent on the backlighting. NTSC and Adobe RGB 1998 color gamuts are common profiles used to rate a monitor’s color gamut in the coverage of a color space chromaticity. 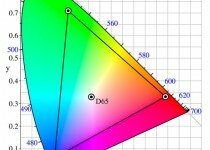 As a wide gamut prosumer monitor, the HP LP2475w has a rated 102% NTSC color gamut, while most TN panels are around 82%. You’d be hard pressed to find color gamut coverage for many of the TN panels out there since they’re marketed as bang for your buck monitors, not necessarily for their quality color ranges. Generally, TN monitors have a poor color gamut and color accuracy. This is because TN panels represent colors using only 6-bits per color as opposed to 8-bits and therefore cannot display 24-bit truecolor (16.7 million colors). Instead, TN panels use dithering and interpolation to simulate the desired colors. While the color simulation is noticeable, most people aren’t aware of the differences as they’ve only ever been exposed to TN panels. Almost always, monitors using IPS, MVA and PVA LCD technologies will have superior color representation over TN, but you’ll pay for the difference. The cost is sometimes significant, as seen in the price between the $209.99 Samsung 2494SW, which uses a TN panel, and the $549.99 HP LP2475w, using an H-IPS panel, one of the IPS technology variants. I’m going to make this brief as you only have to be concerned with an excessive amount of lag in PVA panels. These both relate to the time it takes the monitor to respond and change its image–namely in regards to image persistence as it refreshes each frame at 60hz, aside from the few 120hz NVIDIA 3D Vision rated monitors available. Neither of these will likely have any effect on your viewing experience on non-PVA monitors. If you’re in the market for a high-end S-PVA panel, it’s likely that you’ll do your homework on whether it will fit your needs. Since color correction work won’t be affected by slight lag, trading a slower response time for improved color accuracy and other features is acceptable. There are a number of inputs commonly found on LCD monitors and almost all will be equipped with a DVI input and often a VGA input as well. There are some outliers that only have an HDMI input, for example, so keep your eye out. While you likely only need a DVI port, more inputs will give your monitor versatility when connecting to different devices. On this HP LP2475w we have two DVI ports, S-video, composite, and component inputs, HDMI and DisplayPort support, SPDIF out and six USB 2.0 ports. Short of having a built-in TV tuner with a coaxial connector, this monitor has everything. The addition of DisplayPort support is a nice touch, particularly useful to those looking to take advantage of ATI’s Eyefinity multiple display technology. 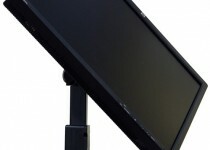 With HDMI and s-video/composite/component support, this monitor can also be used with any number of gaming consoles or can be attached directly to a DVD/Blu-ray/HD-DVD player, effectively doubling as a 24″ 1080p television that can function independently of a computer. In comparison, the Samsung 2494SW only has one DVI and VGA port, as you would expect from a 24″ monitor at the $200-250 price point. Would you buy a car without adjustable seats? Well, maybe if it saved you some cash. A stand with proper monitor adjustments can make the difference between viewing the screen comfortably and well … not. The HP LP2475w has it all; height, tilt, swivel, and 90-degree pivot rotation. The Samsung 2494SW just has vertical tilt, the only adjustment that couldn’t be removed without making it non-functional. While the monitor is still very usable with only having a tilt adjustment, you might have to stack a couple of books underneath to bring it to the proper height. While cheaper monitors can skimp on stand adjustments, a prosumer monitor like the HP LP2475w is expected to fully adjust, which is one of my complaints about Apple monitors. So what’s the best monitor? That’s for you to decide. I know, it’s a pretty lame answer. I’d say the best monitor is the one that fits your needs (or wants) at the lowest price. While this article didn’t delve into brand quality, you may be surprised to find out that many of the monitor and television brands use panels from only a handful of panel manufactures. An example of this that stirred up some controversy a few years ago was that the higher priced Apple 20″ cinema display used the same LG panel as Dell’s UltraSharp 2005FPW. Lastly, take the manufacturer’s warranty into account, it can make the difference between a monitor continuing to work years down the road or not. Now that you know what to look for, go out and do some research before you purchase your next monitor. If your needs are few and you have a tight budget, it’s a fairly easy decision. But if you’re a gamer with some fun money or a professional looking for a high end monitor, you have a lot of options. Editor Note: Please welcome Josh Shapiro to the Skatter Tech team as the new Hardware Expert. More articles like these are on there way! Follow us on Twitter (@skattertech) or on Facebook. Amazing and in debt. Thanks for the lesson in Displays. Very useful. Thank you. Something on monitor size in relation to distance from the viewer and other purely mechanical issues would be helpful. But so was what was written here. Very much so, and way above the ten other websites I visited. Thanks.